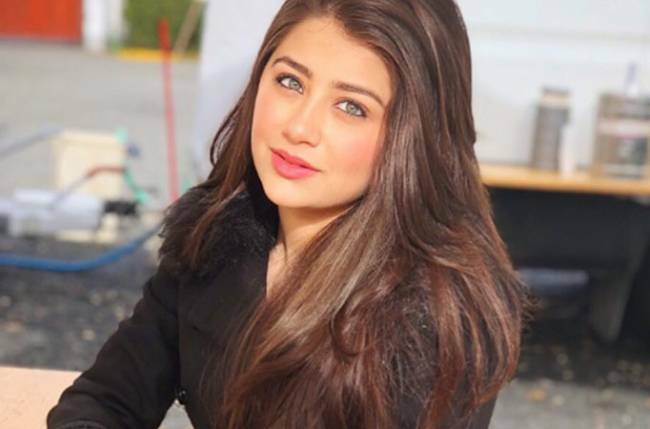 MUMBAI: Aditi Bhatia is one of the most cute and beautiful actresses from television town. The young starlet started her career as a child artist and her performances have been striking the right chord with the viewers. She has been continuously stealing hearts by her cute features and suave acting skills. Her performance as Ruhi from Yeh Hai Mohabbatein has been earning accolades from the viewers. Aditi is very active on social media, and she often expresses her thoughts on various topics. 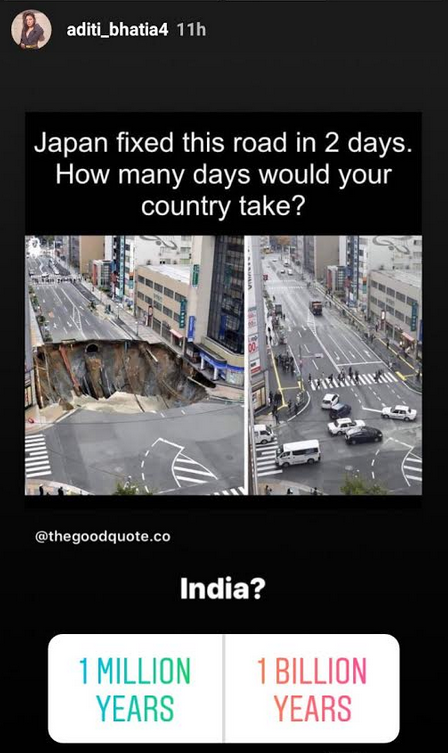 Recently, she shared a picture of Indian roads on Instagram highlighting how most of the Indians feels this way but can’t do anything about it!